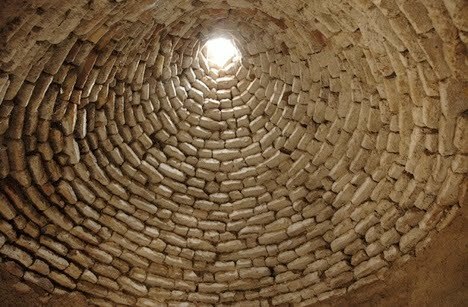 Treehugger writes about Syrian Beehive houses that are "....Designed for the desert climate, the beehive homes keep the heat out in a few ways. 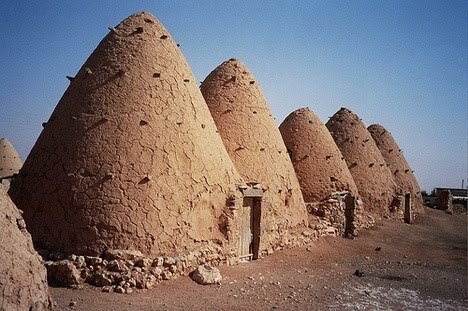 Their thick mud brick walls trap in the cool and keep the sun out as well (beehive homes have very few, if any, windows). 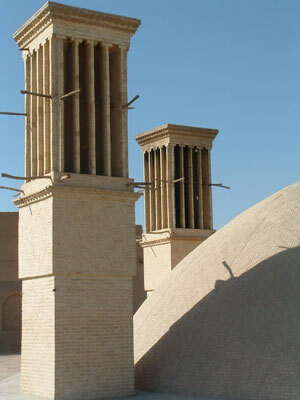 The high domes of the beehive houses also collect the hot air, moving it away from the residents sleeping at the bottom of the house..."
Makezine writes about traditional wind-catchers that are built on the top of buildings in the city of Yazd in Iran. It says "...When I visited the 3000-year-old city of Yazd, Iran, the old school technology I was most fascinated by is the windcatcher. Seen atop many a building in this arid city with an annual rainfall of 2.4 inches and summer temps frequently pushing 104°F, these towers are the predecessors to the swamp cooler. 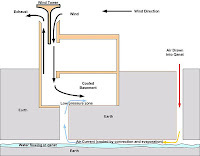 Basically, the wind shafts on the rooftops have directional ports, and only the one facing away from the incoming wind is left open. 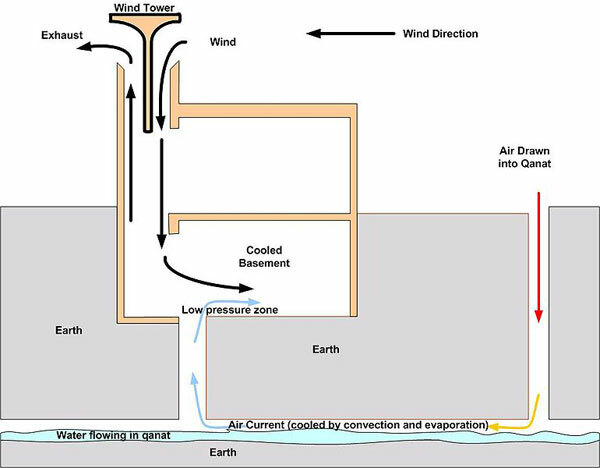 The wind gets sucked in and pushed down over water below, and the cooled air is circulated through the house. In the ancient homes I saw, the room at the bottom of the wind shaft had a little pool of water and the sides of the room were often built-in brick benches covered with carpet, where the dwellers would spend the hottest part of the day..."